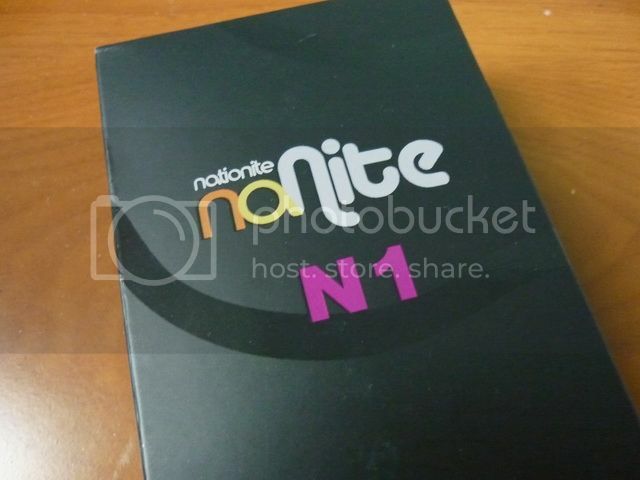 For what meant to be a low end product of the DAP market, Nanite N1 is fairly well packaged. There are two smaller (flatter) boxes inside, one for the DAP and there other for the accessories. The overall presentation is nice - I have paid DAP worths 5 times more without much of any packaging. Then again, it seems to become a consensus among big brand name DAP manufacturers to cut down on packaging expense. I wonder if this is a trend set by Apple. Accessories wise, you get an USB cable, an earbud, and a manual. Like many stock earbuds that comes with DAP, it is really sub-par sounding. It probably will be a great idea to find a decent sounding headphone first than relying on the stock earbud. 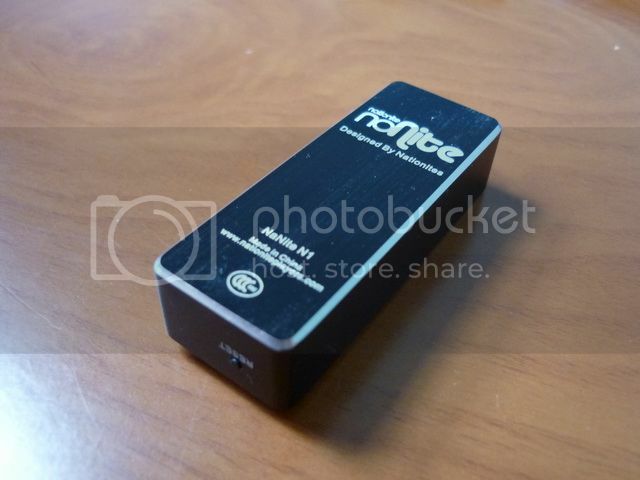 For a budget orientated small DAP, N1's build quality is pretty good. The main housing is a single block anodized aluminum. The only plastic side of the housing is where the faceplate is located. The metal housing means N1 would probably take more abuse than most plastic housing (not that you should start throwing it around). There are 4 buttons: Play / Pause (which also acts as On / Off), EQ, center navigation stick, and a reset. The mini-USB connection, the headphone socket and a small hole for lanyard cable (your own supply) locate on the same side, while the reset button is on the opposite side. All of the navigation / play function is controlled by the three buttons on the face plate. The 1.1" OLED screen is on the small side with black background and a blueish white text display, but the resolution is decent enough for its purpose. The physical side of the N1 is very small. 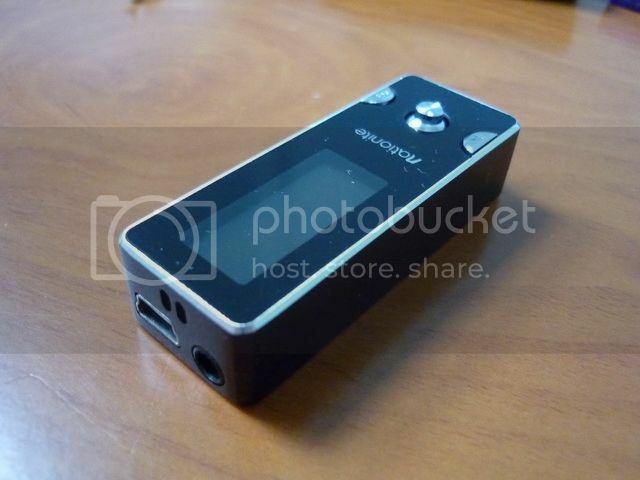 A tiny bit smaller than a FiiO E3 actually. 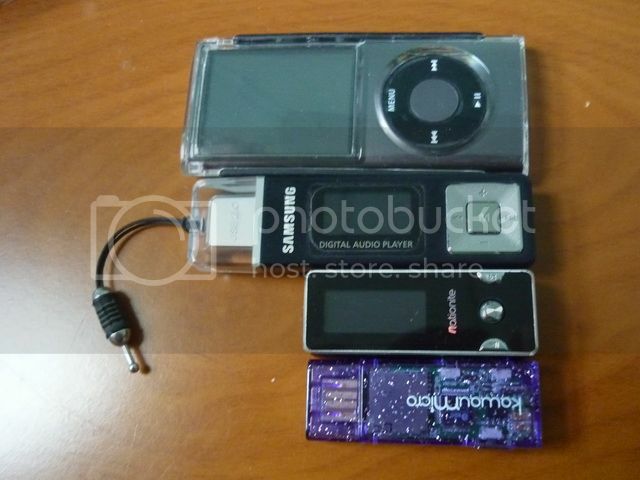 For a 2GB / 4GB player, I can't think of anything that can be much smaller. While it is small, the use of metal housing adds weight to the player in a good way. It gives a very solid feeling when holding it and you won't need to worry too much about misplacement. 1) Music is automatically categorized using ID3 tag info which of course can be a bless or curse depends on whether your music is properly tagged or not. Unfortunately browse by folder seems not possible. 2) EQ navigation / selection is a bit confusing. I believe this is mostly a firmware design issue. For example. SRS WOW has a sub menu of its own for selecting WOW HD, Custom, and Off - if you already selected 'WOW HD' and wanted to turn back to 'Normal', instead of going to select 'Normal' from the 7 preset EQ, you will need to select 'Off' under SRS sub-menu first to disable SRS (which automatically return to your last preset EQ setting), then select 'Normal'. It just feels like SRS is operating independent of the rest of the 7 preset EQ. This will need a bit of getting use to. The good news is that all the EQ works fairly well once you know how to navigate them. 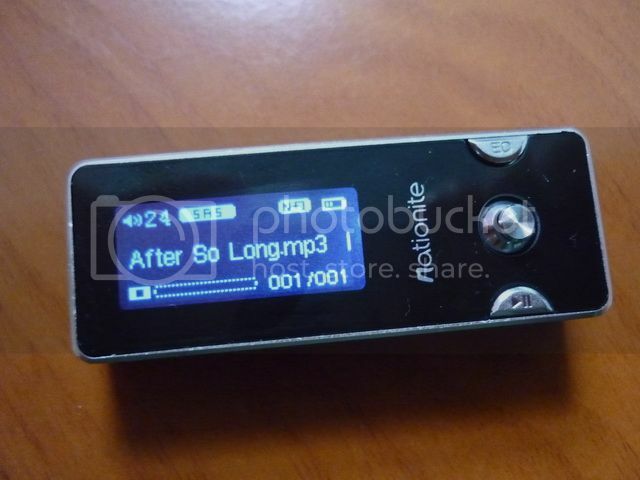 3) Another firmware issue: When you turn the DAP off and on again, it will stay at the last played song. The problem is that instead of remaining in that one particular album where the song belongs, now you are in the full play list. For example, lets say there are 100 songs in the DAP but only 16 songs in the album which you last heard the songs from (assuming that is the 3rd song in that album, so you are in 3/16, but the same song is also the 22nd of all 100 songs). Once you turn the DAP off and on again, you are in 22/100 instead of 3/16. You will still be able to listen to the whole album, but it won't stop at that particular album. Instead, it will keep on going to the next album in the full play list. 4) When playing a song, instead of displaying the song's and the artist name, it will show the filename and the artist name. However, it will display the song's name under the 'Music' menu when you are trying to select a song. 5) When you are in 'All Songs', you can press 'EQ' to bring up the option to delete the song. 6) The DAP supports English and Chinese menu. 7) There are 31 steps in the volume. 8) Play mode supports Normal, Repeat One, Repeat All, and Random (Shuffle) mode. 9) OLED screen has three brightness/ contrast setting (Low, Mid, High) and can be set to turn off in a particular time (off, 5s, 10s, 30s, 60s). 11) One hand navigation is fairly easy. In sum, the navigation is easy to understand / use most of the time but still has some minor bugs needed to be fixed and some edges needed to be rounded off. There are a few hidden minor features that didn't get mentioned in the simple user manual which will require a bit of play time to figure out. Once you spent some time with it, many of the issues can be worked around with a few clicks. Even though it is not very easy to accidentally click on anything, I do hope a hold key is included. 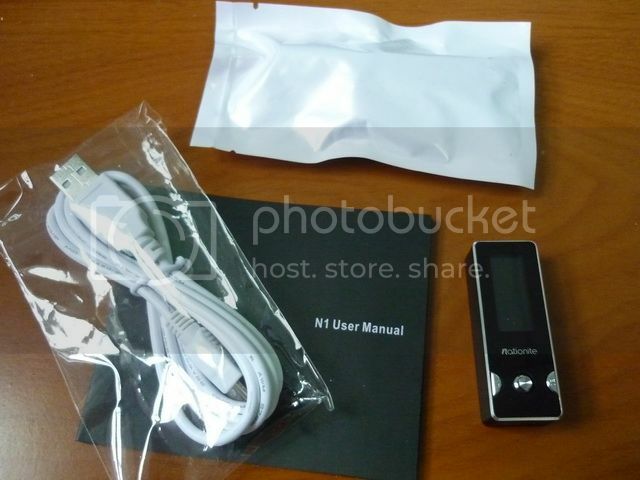 N1 is capable of recording voice into wave file and play back. One thing I notice is the lack of a microphone hole on the housing. 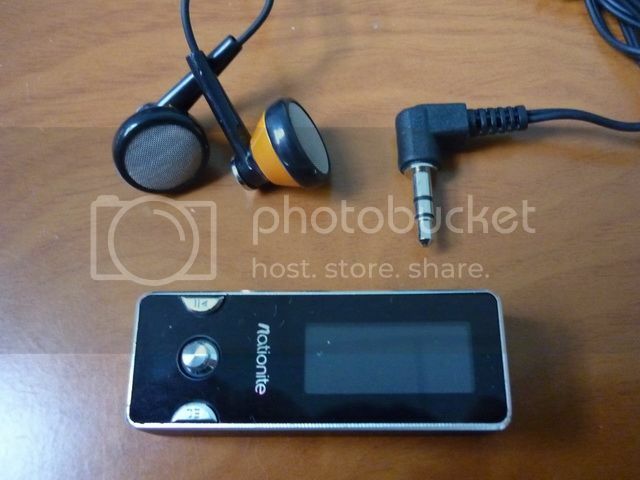 It has no problem picking up sound in very close proximity but you really can't use it for something like a lecture recording as its ability on picking up sound diminishes greatly with distance. It works more like a personal voice recorder. I did a head-to-head comparison of N1 vs.my old trusty YP-U2: I load the same album on both and has a ABX back and forth without any EQ. There is some subtle difference: mainly that YP-U2 is a tiny bit warmer in the mid while N1 is a tiny bit more detail, but the difference isn't big enough to call out a winner. I guess the Sigmatel chipset really is pretty good. Of course it is still not a match for my Fuze, but I certainly don't expect it to outperform its size. I am generally not an EQ person unless there is something very noticeable missing in the sound of the DAP, nevertheless I did try out most of the EQ setting on N1. SRS WOW HD works fairly well. It does increase the soundstage somewhat, but it is more of a love or hate thing if you ask me. You can also customize your own SRS setting and it is pretty responsive. The rest of the 7 preset is fairly good, at least they all work better than those EQ on my Fuze. AS mentioned earlier, it will take some time for user to familiarize with the EQ interface, but since most of us don't keep changing EQ setting, I guess it really isn't too much of a problem. As far as personal choice goes, I am sticking to 'Normal' / no EQ on the N1 - If it isn't broken, don't fix it. As a no fuzz, always ready-to-go compact DAP, NaNite N1 is a durable, simple to use, fairly good sounding player with a decent battery life. On places where you don't want to carry a big DAP in fear of damaging it (such as in the gym or on a bike), N1 will fit in well. Beside those minor bugs mentioned earlier, the over all performance of N1 is still pretty good and worthy of consideration for those who have an active life style and demand good portability and durability. 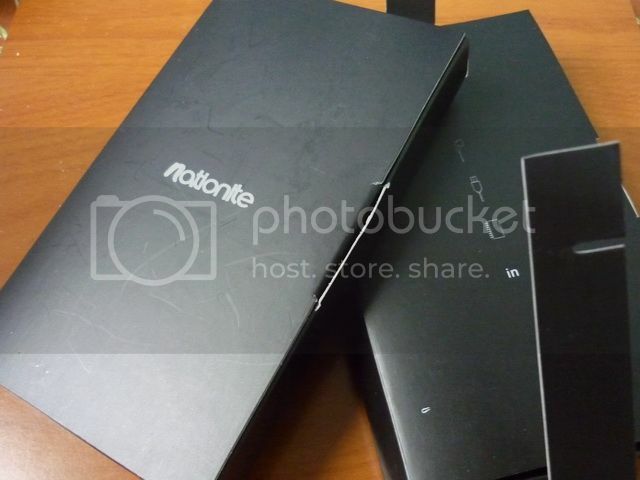 P/S: Nationite is a brand of MP4 Nation. 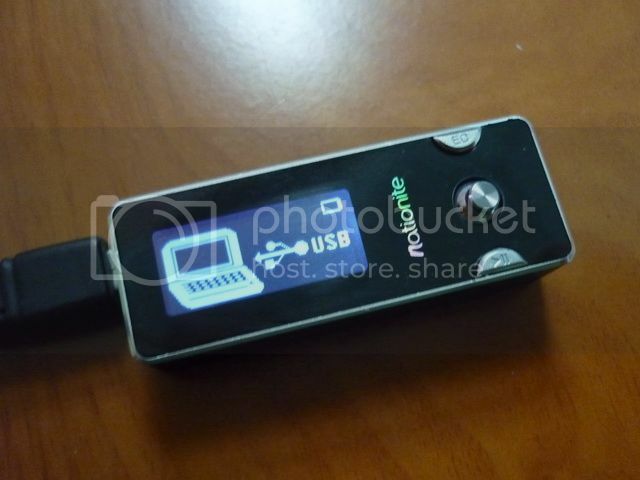 The brand is intended to introduce the best DAP/PMP China can offer to the rest of the world.